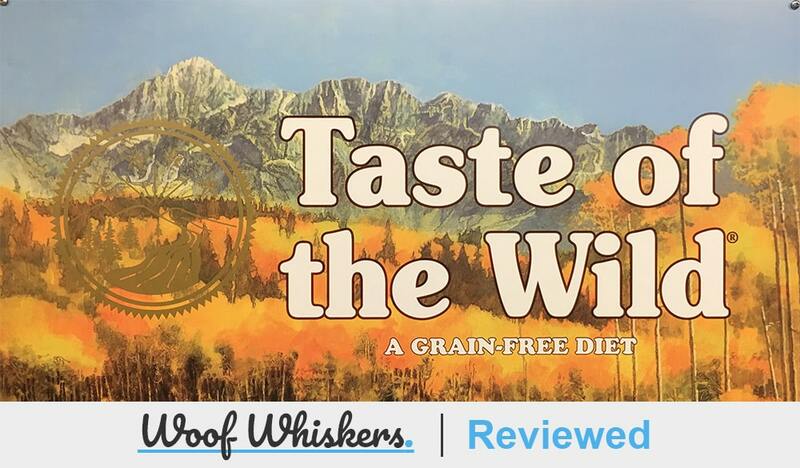 Taste of the Wild is one of the leading grain-free dry dog foods on the market. Due to the low carbs and high quality meats used in this dog food, it has an excellent protein/carb ratio, a leading indicator of dog food quality. Taste of the Wild is based out of the town of Meta, Missouri, and has been making high quality pet food since 2007. 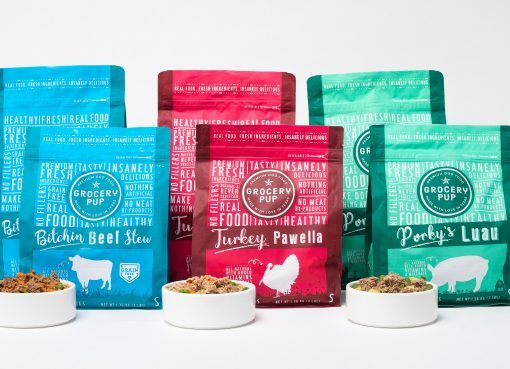 The company’s mission, according to their website, is to “satisfy your dog or cat’s instinctual cravings”, which it does by providing them with a number of grain free formulas made with real roasted meet. Each of their formulas are meant to be in line with your pet’s ancestral diet, and also has healthy probiotics added into the mix to aid in digestion, support the immune system, and contribute to the overall wellbeing of your dog or cat. Taste of the Wild is actually a part of the Diamond Pet Food family of products. Diamond Pet Food has been making food since 1970, but they did not create their Taste of the Wild line until much more recently, in 2007, in order to cater to the demand for a high quality, grain free dog food with natural ingredients. The Diamond Pet Food Company, for its part, is a family owned company owned jointly by the Schell and Kampeter families. The company itself was found brothers-in-law Gary Schell and Richard Kampeter purchased Milling Meta Co nearly four decades ago. Milling Meta Co was then a small-scale livestock and dog food producer, but the Schell’s and Kampeter’s have since expanded the operation, growing from one small plant servicing rural Missouri to a national business with at least five manufacturing facilities around the country. All of Taste of the Wild’s food is made at facilities within the USA, and the ingredients selected for their products undergo several safety and quality checks before it makes its way into your pet’s bowl. According to their website, they conduct several thousand tests every week to ensure the maximum quality of their ingredients, and even have developed several technologies at their factories to help ensure that their food is always the best possible. The company also provides all grain free products and promises real meat and healthy fruits vegetables, and legumes to provide each option with “a superior taste sensation”. 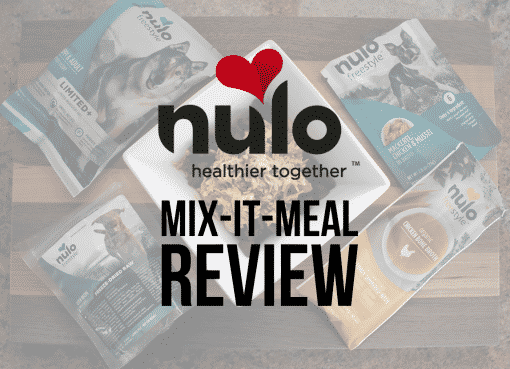 In addition, a number of vitamins, minerals, probiotics, and antioxidants are also added, to make a meal that encompasses all of your dog’s daily needs. Taste of the Wild produces seven different formulas, all of which come in both dry and canned form. In addition, some of these formulas also have a puppy version as well as an adult one, and all of them are made to suit a specific taste. Appalachian Mountain is Taste of the Wild’s small breed formula made with venison and garbanzo beans as the main ingredients. Other ingredients involved in the Appalachian Mountain blend are lamb, egg, duck and ocean fish. To provide a very balanced diet for your pet. This food has many of the same things in common with the other lines, such as the addition of probiotics and amino acids, but it also incorporates some things dedicated to the needs of many higher energy smaller breed dogs, and also has a smaller sized kibble than other formulas. Unfortunately, however, this line does not have a dedicated puppy version. High prairie also a roasted bison and venison based mix meant for active dogs, that also includes sweet potatoes, peas, and other quality ingredients to provide a digestible source of energy. High prairie also offers a puppy mix that focuses on the same ingredients, albeit with additions to provide the nutrition needed for your puppy to grow up healthy and strong. Wetlands is a blend of fowl, moving away from the more land based proteins. The main ingredient in the Wetlands formula is duck, but there is also chicken added in, as well as fruits and vegetables to help balance out the diet and provide some healthy antioxidants. There is, like Appalachian Mountain, no puppy version of this one. Taste of the Wild’s seafood formula, Pacific Stream centers around real smoked salmon as a main ingredient. Using a fish protein gives this blend a significant amount of healthy amino acids, and is fortified with several fruits and vegetables to make sure that it provides your pet with all of its nutritional needs. Along with High Prairie, this is one of the only two Taste of the Wild formulas that comes in puppy form. Made with a blend of animal proteins including beef and wild boar, Southwest Canyon is made to cater to the taste for meat many dogs crave. It also has blueberries, raspberries, and other fruits and legumes added in for their antioxidants and nutritional value. This formula, however, only comes in adult form, no puppy blend yet. Made with real roasted lamb, Sierra Mountain is a great choice for dogs who might find chicken or beef proteins a bit disagreeable. Made with sweet potatoes, peas, and tomato, among other things, the Sierra Nevada blend offers another great source of protein to the Taste of the Wild line and supports an active lifestyle thanks to all of the vitamins and nutrients it packs. This one too, however, is unavailable in puppy form. Another venison based formula, Pine Forest is very similar in make-up to the Appalachian Mountain blend, although this one is made for full sized dogs. 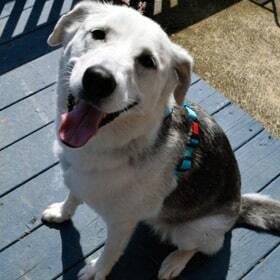 It is listed as providing your “dog with lots of energy and that wild game flavor, without the extra fat”, so this is a good option for those hoping to keep their pup on the leaner side. Like most Taste of the Wild selections, this is also not available for puppies. 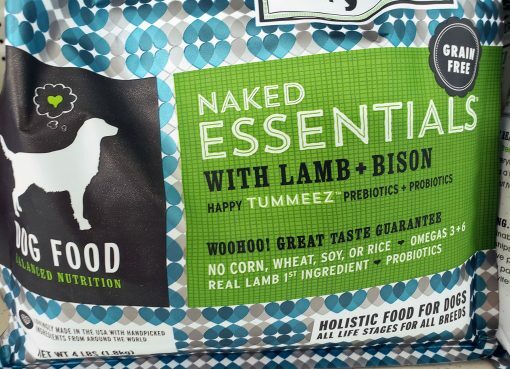 Most major pet food retailers carry Taste of the Wild products, as do several specialty stores, however it is not a brand that you should expect to find at your average grocery store. Additionally, Taste of the Wild can be ordered directly from the company website, and can even be purchased online from sites such as Amazon.